ORDER YOUR CUSTOM HOLIDAY CARDS TODAY! PLEASE READ THESE IMPORTANT TIPS: The images in this gallery make great 5x7 cards. 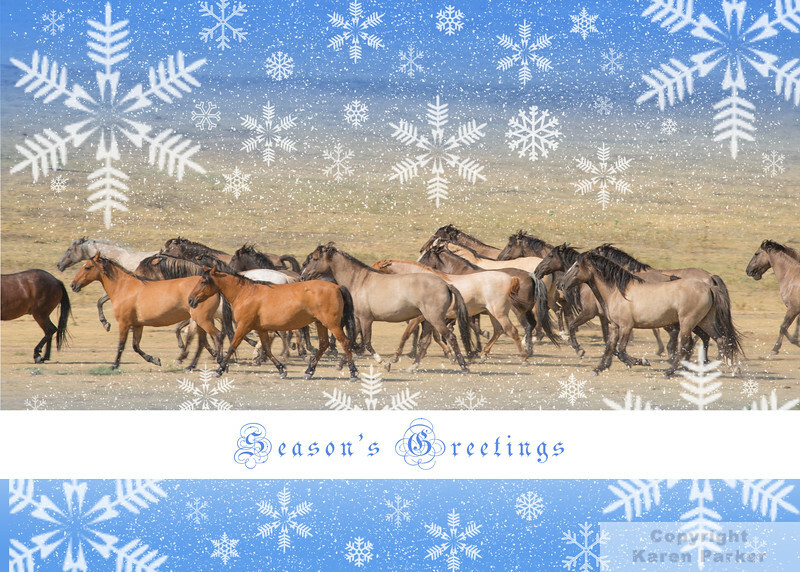 100% of proceeds from cards made using images from the Black Hills Wild Horse Sanctuary will benefit the sanctuary. Find an image you like, then select the "buy" button and the option to "create a card" to get started. Choose a *blank photo card* and be sure to center the image well on the cover of the card. You can customize the inside text anyway you like, but note the lower left in the card creation tool is the traditional area to include your own personal greeting - *other templates are available and you can try them out, but these images have been created to fill the cover of the blank photo card and will work best in this format. You can also choose images from my other galleries to create any kind of card you like.